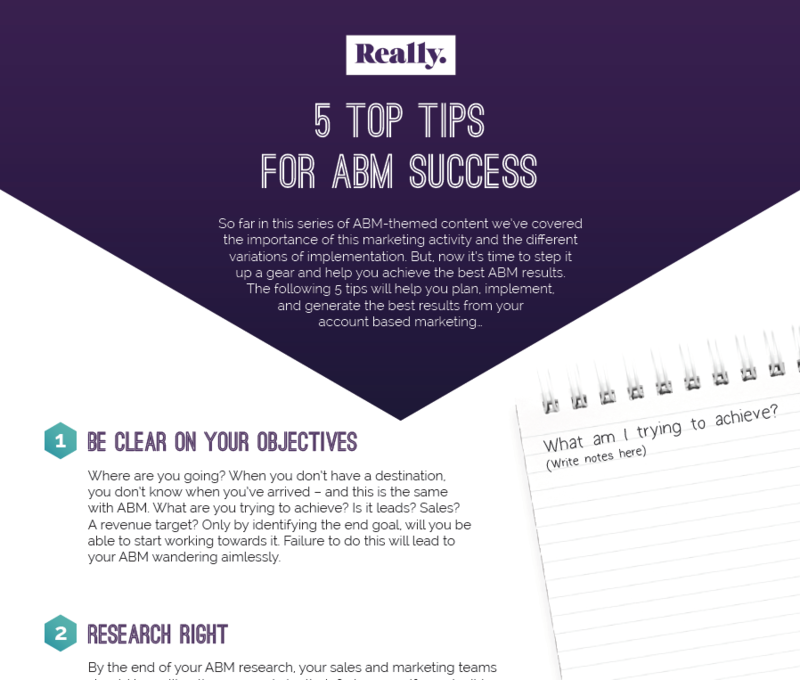 We've created this helpful 5 stage checklist to ensure you have everything in place for a successful account-based marketing strategy. From planning stages right the way through to implementation - we've got you covered! Complete the form to the right to download your copy!